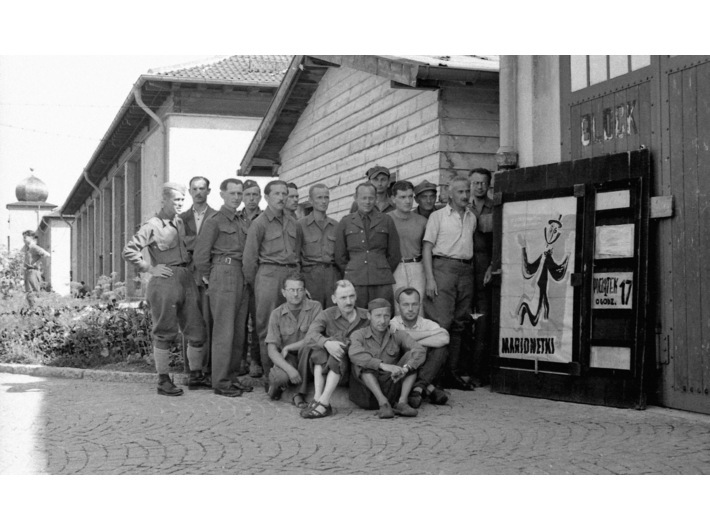 Between 1939 and 1945, in concentration camps and POW camps there was theatre. Much has been written about the artistic activities of the prisoners in such camps but we do not have much information about performative creativity. 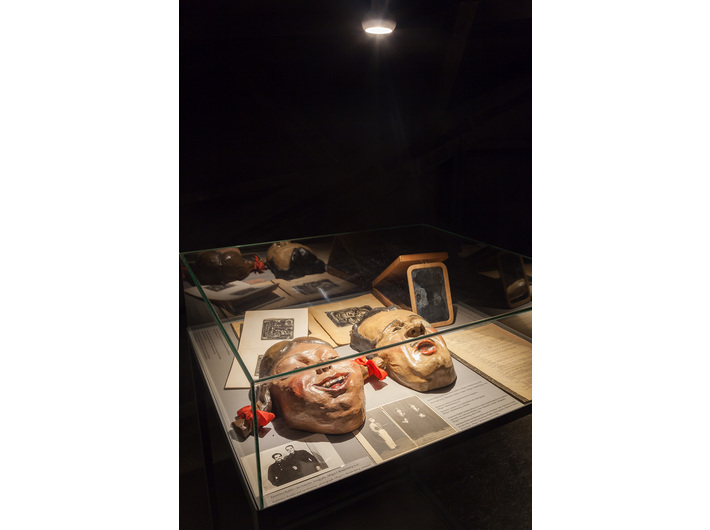 The present exhibition provides the first-ever opportunity to take a close look at theatrical activity in the camps. 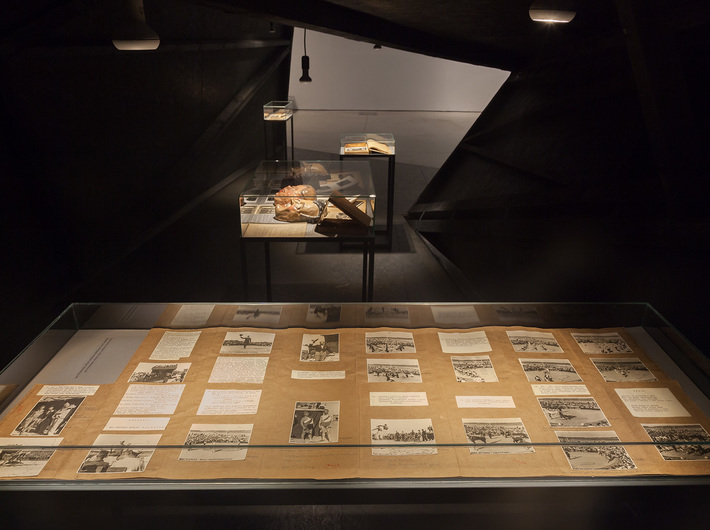 The assembled documentation reveals how difficult it was – in spite of the radical methods of extermination used – to extinguish the prisoners’ sense of their inner worth, which they expressed through the creative act. 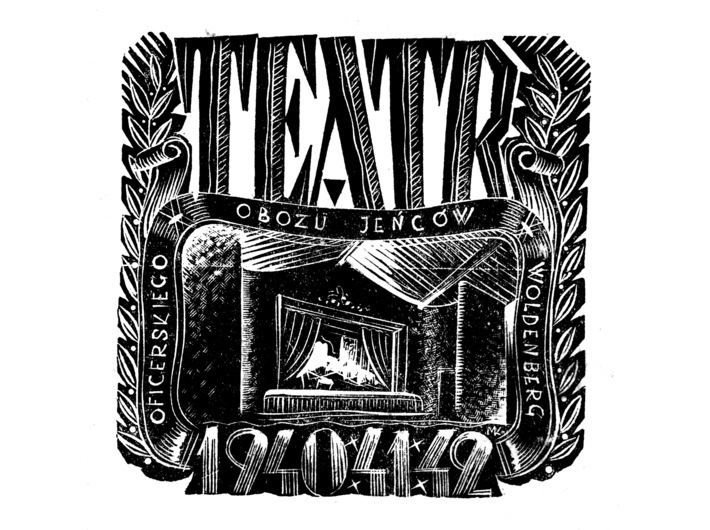 Little documentation of theatre in the camps – especially concentration camps – has survived. The illustrations and objects at our disposal are few. Yet it is precisely the fact that they are so exceptional in having survived as if by a miracle that makes them poignant. 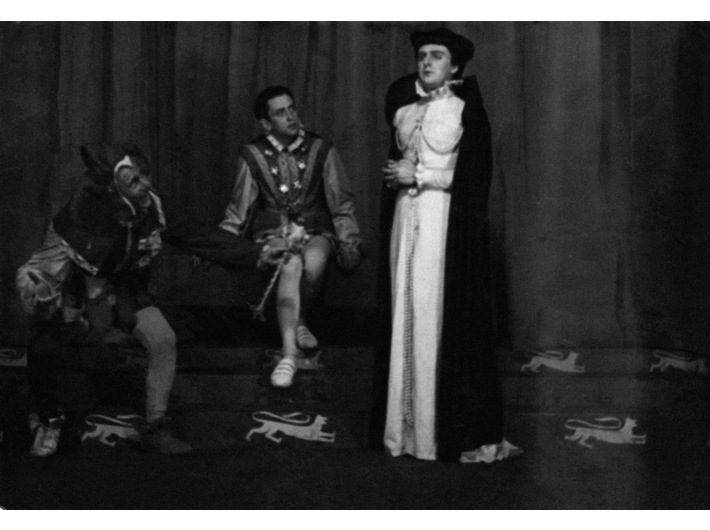 The majority of the archival material presented at the exhibition is iconography from the Oflags, where theatre was one of the forms of organising a social life. The main sources of what we know about the theatres are the accounts of witnesses; these enable us to understand the stories of the time and to learn about the lives of individual creators. They also describe the great variety of performance that this ‘hidden’ theatre adopted – from recitation and drama to opera, ballet and puppet theatre. So as to give due weight to the testimonies that survive and the recordings that we have managed to find, the renowned sculptor Jarosław Kozakiewicz has been invited to collaborate with the project. 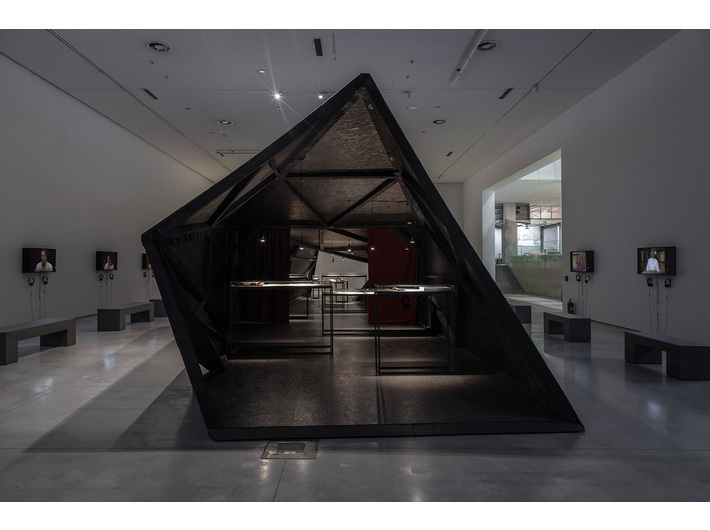 He created the concept of ‘architecture within architecture’, designing the exhibition structure, inside which we display the salvaged artefacts and documentation. In turn on the walls of the museum space there can be seen the filmed recordings of the testimony of the witnesses. 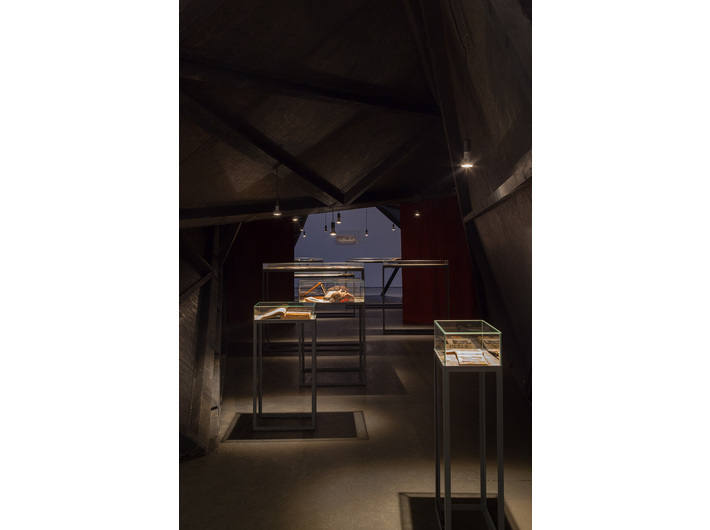 The exhibition is accompanied by a publication in Polish and English, illustrated with archival photographs, with an introduction by Magdalena Kulesza and Katarzyna Wodarska-Ogidel, a text by Iwona Kurz and the witness accounts.